I received a review from Chris Nowak this month from my Best VPS Reviews website and thought I’d share it here for everyone to read. Steve talks about the headaches of switching web hosting providers to KnownHost and how they handled the situation. In my efforts of full disclosure, this review was submitted to claim my $15 offer to submit a high quality review based on their honest experience with KnownHost. 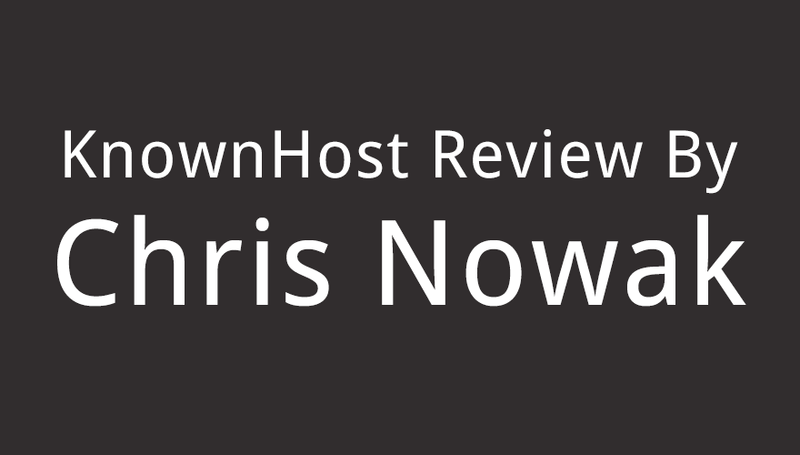 I was able to independently verify two websites that Chris has hosted on KnownHost servers and verified by DNS IP address which routed back to ns1.privatesystems.net and ns2.privatesystems.net which are owned by KnownHost, LLC. I’ve done everything in my power to ensure this is a 100% legitimate review based on Chris’ true experience with KnownHost. I am Chris Nowak, I own a small website building and SEO company, where I offer my services to local businesses. I need hosting for approx. 120 or 130 websites I maintain for my clients or my own needs. 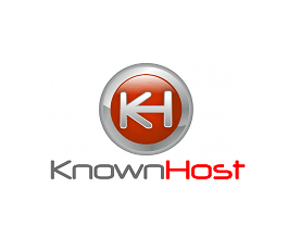 I am using Knownhost hosting service since many years, i haven’t checked recently but it must be like 5 years now. I am very very satisfied with them mainly because of the best support service ever given to me and because their hosting have great uptime and downloading speed. Now, I have moved to VPS2 since like 4 months, I was on one of their older reseller plan before that, I was paying only $10 a month and having like 100 websites. But since last year, I got many many more websites to host as I was developing my own websites focused on local businesses and SEO. So at that point my small reseller account wasn’t enough , my server space was maxed all time, so it was a great time to move to something more serious. Naturally I moved to VPS, but I was a little bit nervous, cause I was having many clients sites with various PHP scripts. Imagine to move 100 sites at one time, where you have all your customer base, it must be done well, if not, I can’t imagine the disaster! So, the migration was done automatically, and I got a copy of my old reseller plan on the new VPS, at beginning I’ve taken VPS1 but almost immediately upgraded to VPS2 because I was using many sites with php scripts and wordpress which needed some more memory than the VPS1 offers. VPS2 with WHM costs me 40$ a month. All my sites are moved, I then change my nameservers to switch over to the VPS. I got some issues with my sites like all the wordpress sites were locked for writing, it wasn’t possible to add new images or make new posts or comments, Knownhost fixed the issue within a couple of hours. But, where they did an outstanding job was with a custom PHP mass mailing script. It wasn’t working anymore, wasn’t showing my client’s old mailings, something was not right. Steve from the support team did an outstanding job as he went into the script itself and searched for the error and after trials and search he found the problem. It seemed the problem was inherent to the script and not the server configuration. I paid nothing for that, it was included in their service. How has your experience been? Submit your own review at the bottom of Scott’s KnownHost Review. Have a comment about this KnownHost review, leave it below!